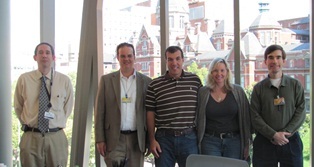 EASTON, PA (Oct. 18, 2011) - Lauren's First and Goal Board Members John and Pamela Troxell recently visited with researchers at Johns Hopkins University to see the progress of a study that the foundation is helping to fund. 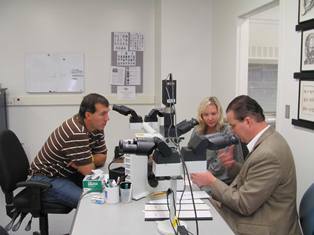 LFG has donated $115,000 over the last seven years to a Pilocyctic/Pilomixoid Research Study led by Dr. Peter Burger and Dr. Charles Eberhart. 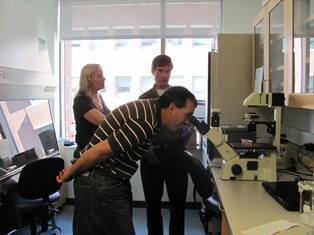 The Troxells met with the primary researchers to tour the lab and learn more about their endeavors. To read the latest on this study, please see this letter from Johns Hopkins.